8 years of experience in brand/product marketing with technology companies, and/or management consulting firms. Experience in developing marketing strategies, expertise support and enabling a sales organization. Experience running agency partners to produce event and creative experiences. Excellent project management and organizational skills, with the ability to run, coordinate and track multiple simultaneous projects and deliverables in a highly dynamic and constantly evolving context. Structured and proactive, eye for constant innovation and improvement. Demonstrated leadership, personal and communications skills; a profound willingness to collaborate internally and externally. Skilled communicator with strong written and verbal communication and presentation skills, with the ability to comfortably interface with all levels of management and to communicate cross-functionally in a structured and clear manner to influence outcome; as well as to translate complex ideas into simple and intuitive communications. 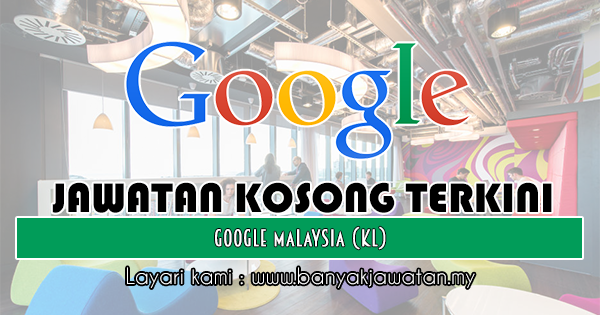 0 Response to "Jawatan Kosong di Google Malaysia (KL) - 31 Januari 2019"